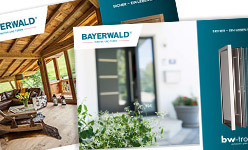 Feel safe and secure in your own home with BAYERWALD's unique Tresorband windows. The patented and more than millionfold tried and trusted Tresorband is not only convincing by look and loading capacity but also protects you and your loved ones with extra security against crowbarring. Due to their special fittings our Tresorband windows standardly meet the WK1 requirements. Realize your personal window dream with us! 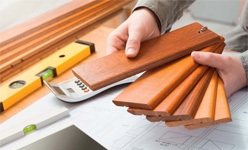 Whether wood, PVC or in combination with aluminum, whether new building or refurbishing, we construct your window based on your specific requirements. With our wide range of designs and colors there are virtually no limits to your creativity. 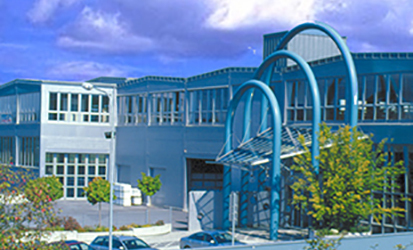 Besides individual window solutions BAYERWALD provides the matching balcony and patio doors to build up a harmonic link between the interior and exterior world. 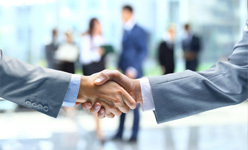 Ask one of our trade partners to draw up a non-binding offer for you. Being a competent full-range provider we could also include the compatible accessories (such as sun or insect protection) in the delivery if you wish! 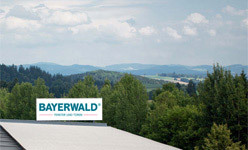 Thanks to the combination of insulation chamber technology and insulating glass BAYERWALD's wooden windows also score when it comes to passive house building. However, if you prefer PVC, you will get optimal heat protection by means of the 7-chambers-profile and the thermo-stabilizer. Because of its extended depth our new PVC window with a 95 mm sash profile provides additional options to minimize heat transfer. And we also have a solution to improve the thermal situation around the window sill jointing: our special, in-house developed „Thermobankanschluss“ insulates the area between window and masonry.